Aislynn Savage, 12, was honored Thursday at the State House for safely steering her mother's sedan into a snowbank after her mother passed out on Feb. 23. CHINA — When 12-year-old Aislynn Savage woke up on Feb. 23, she didn’t know she would save her mother’s life. But by 10 a.m. that day, she had done just that. Aislynn was in the passenger seat when her mother, Laura, lost consciousness behind the wheel of her red sedan. The two were traveling down China Road, near the China-Winslow town line, as another car approached from the opposite direction, according to Tim Theriault, chief of China Village’s Volunteer Fire Department. 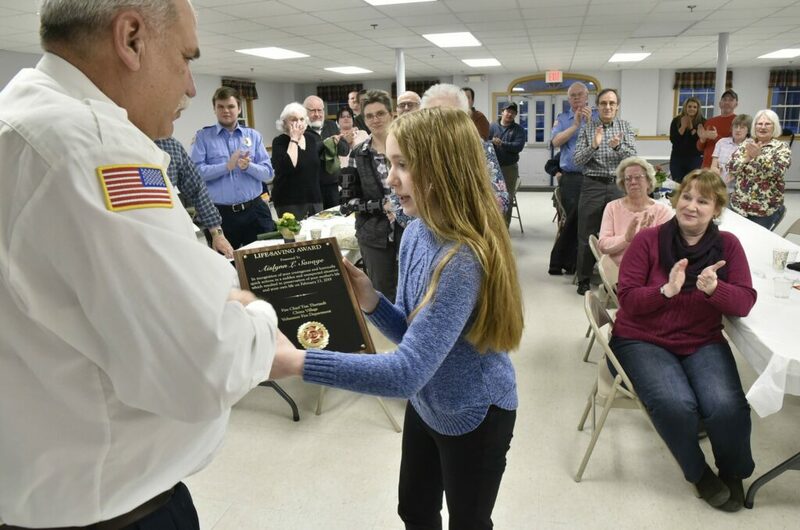 Aislynn Savage was given a plaque at the China Village Fire Department banquet on Tuesday night and will be honored at the State House on Thursday. “We just want to recognize her with something saying she did a great job,” Theriault said. Laura Savage expressed gratitude for her daughter’s action. Theriault, who is also a state representative, was the first to respond to the call, which was toned out at 9:47 a.m.
Theriault recalled seeing Aislynn at the side of the road with two people who had been traveling in the other vehicle when he arrived. 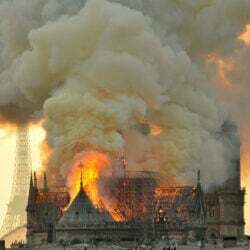 Aislynn declined requests to comment on the incident.